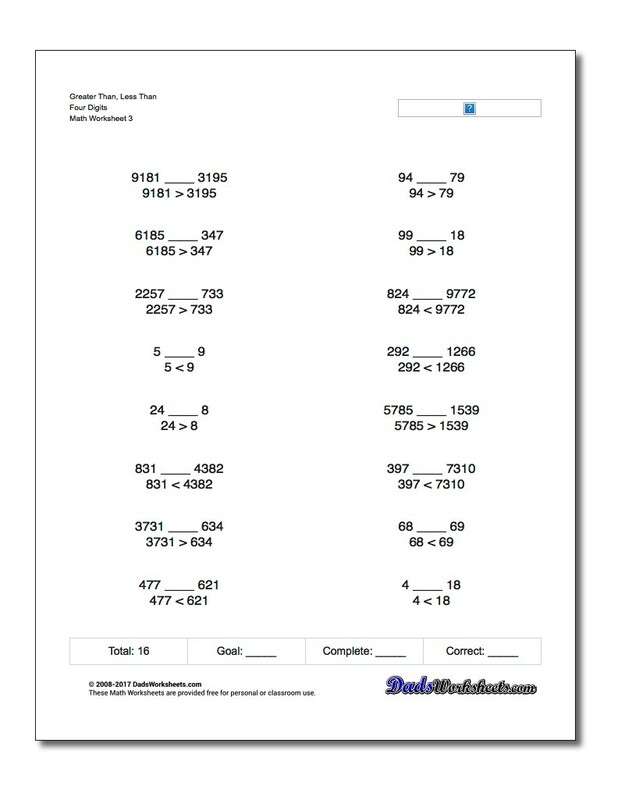 Simple comparisons tests for simple numbers. 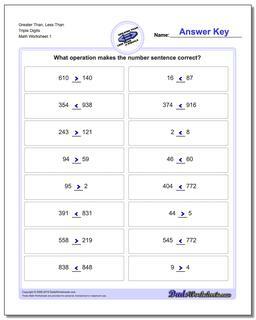 Greater than/less than operations are a good follow up to working with manipulatives to develop number sense. 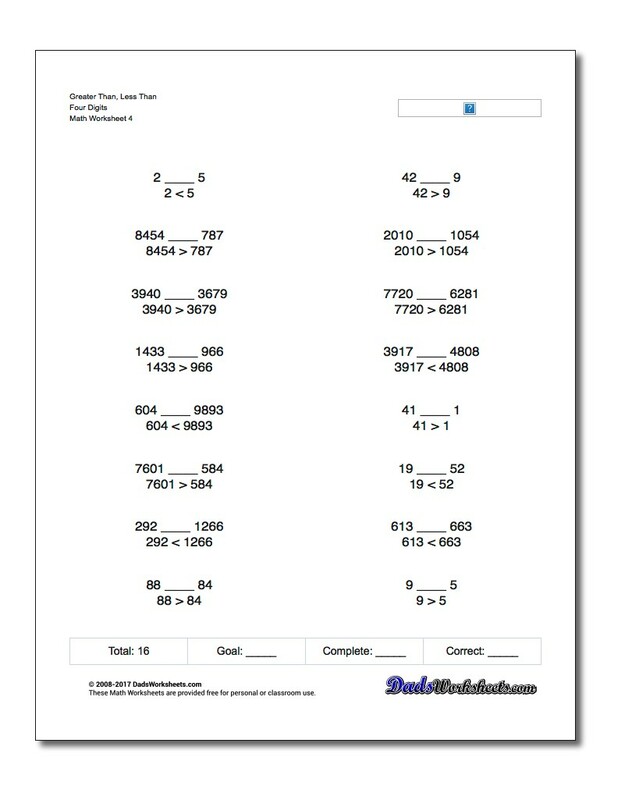 Working with comparison symbols instead of groups of objects helps to cement a students intuition of 'more' or 'less' based on the number itself rather than what is obviously a visually larger or smaller quantity of something. 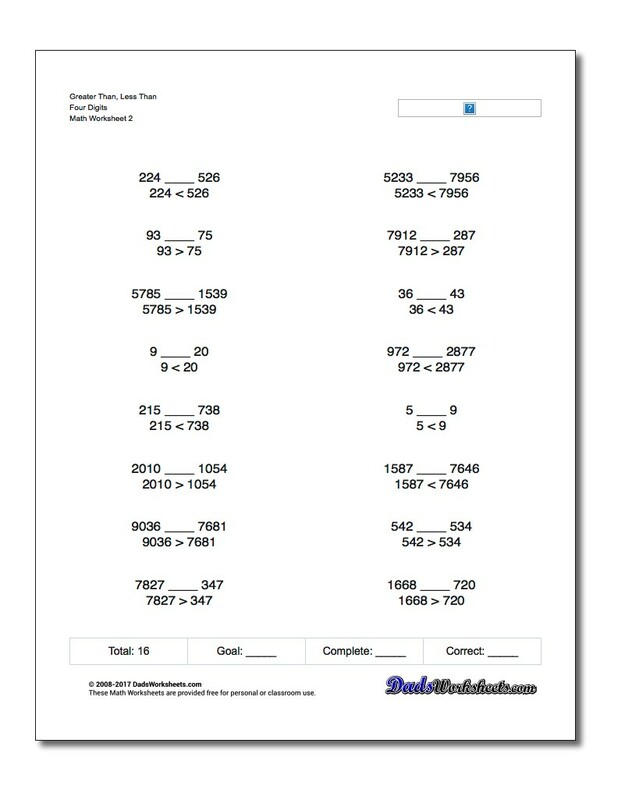 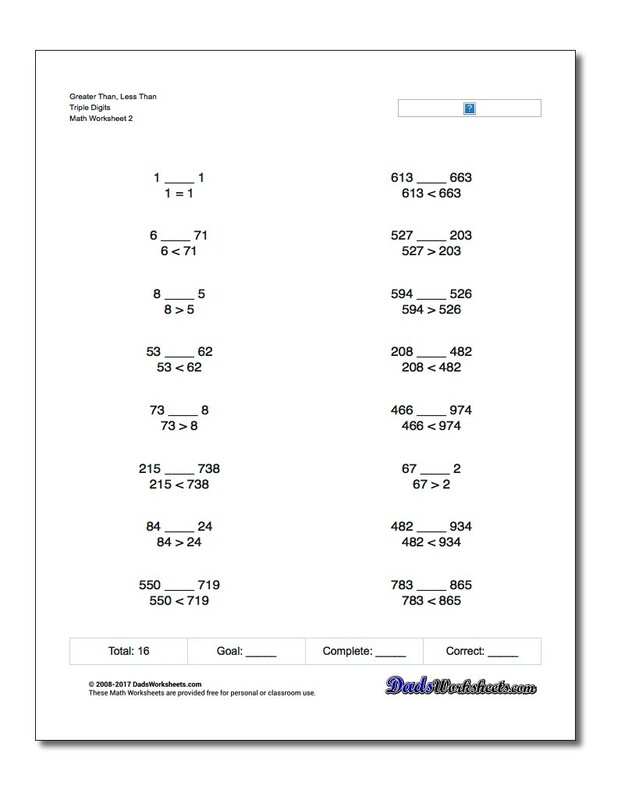 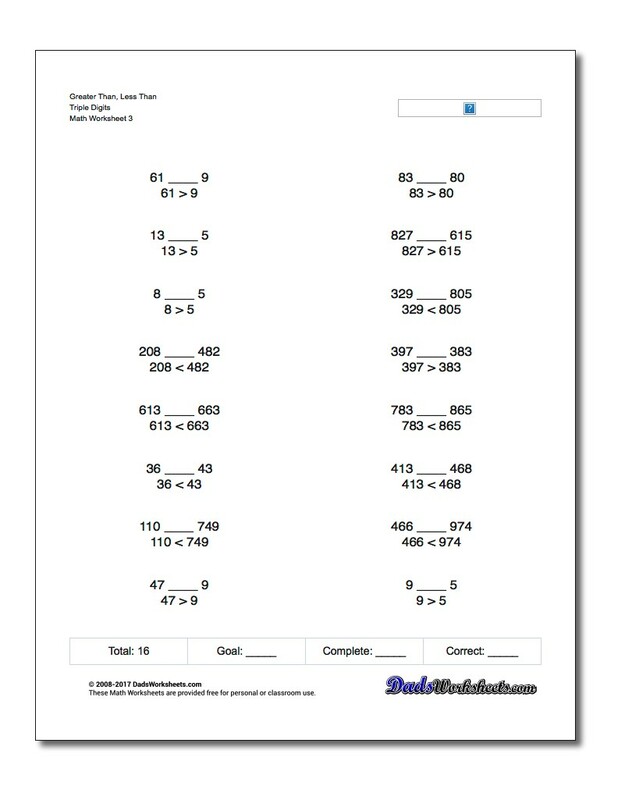 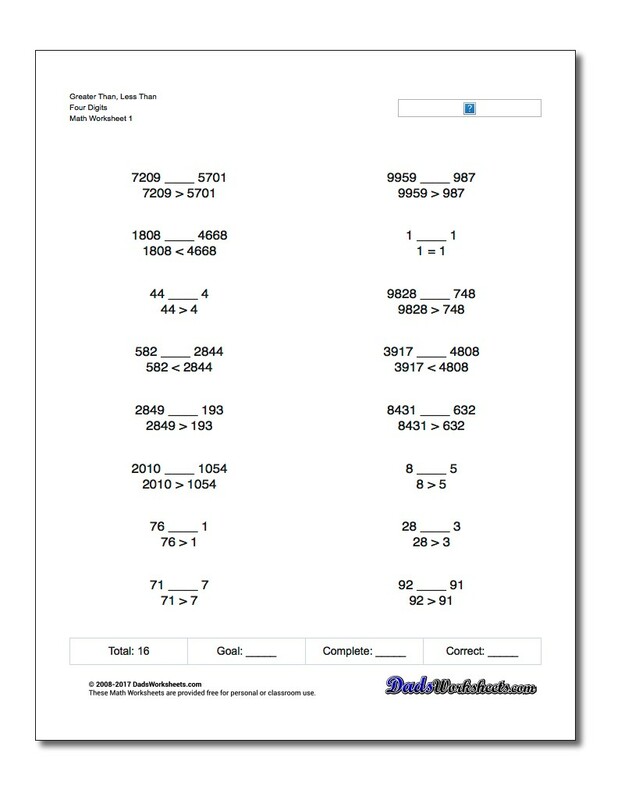 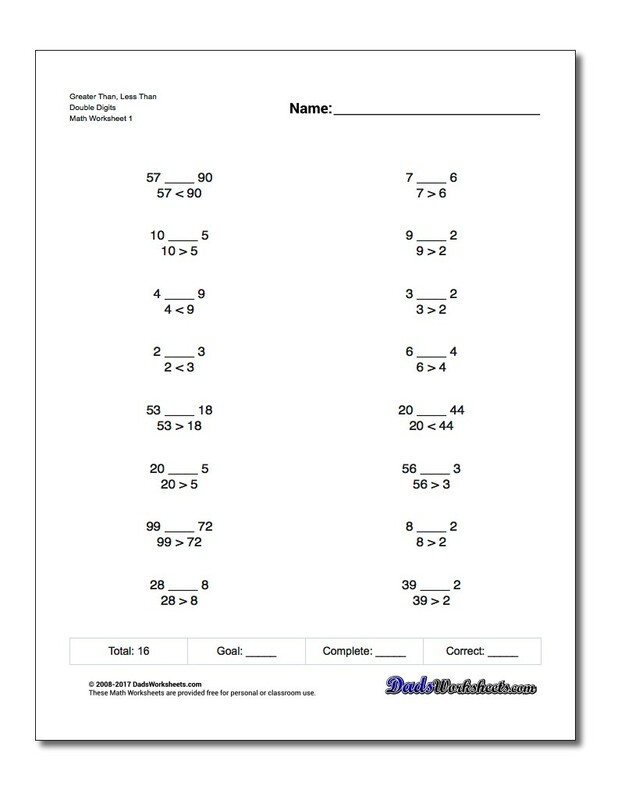 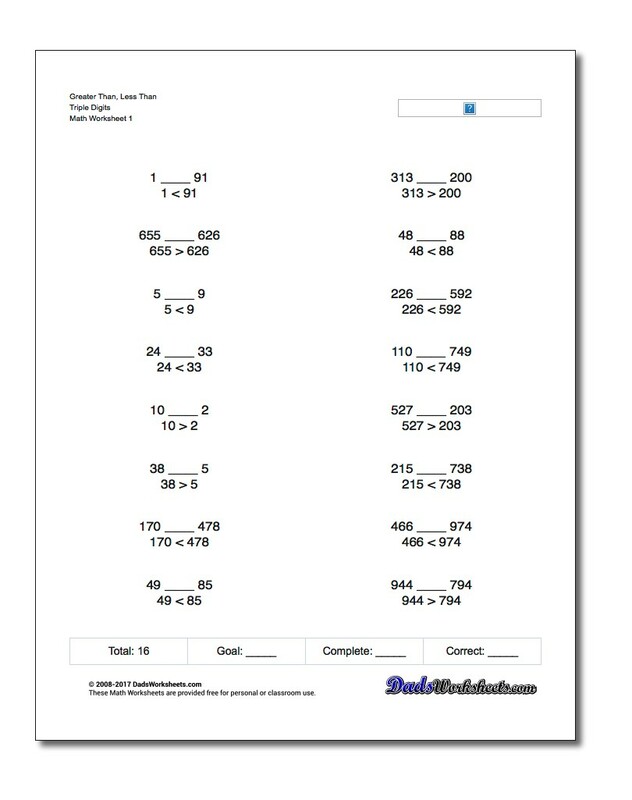 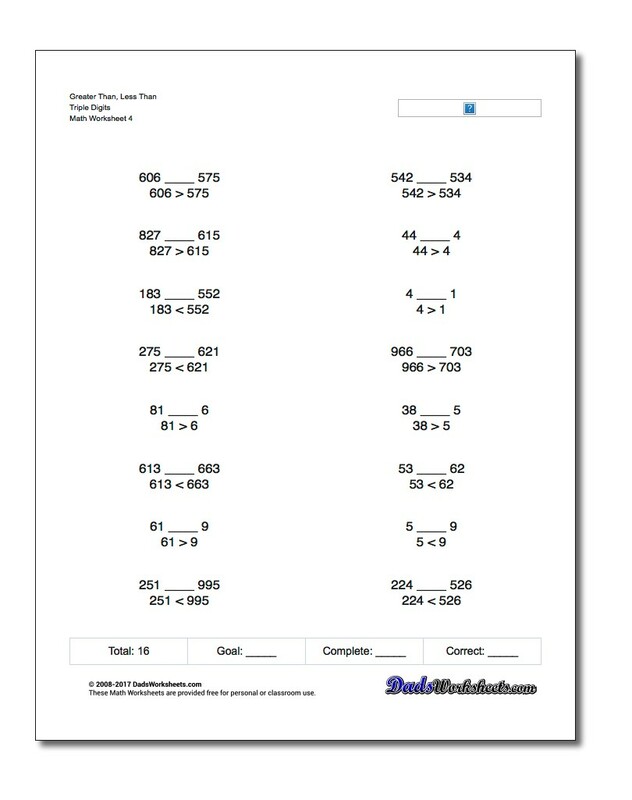 The worksheets on this page introduce greater than and less than problems with single digit numbers that can be used in kindergarten or first grade where nothing more than finger counting comparisons can be used to solve problems.